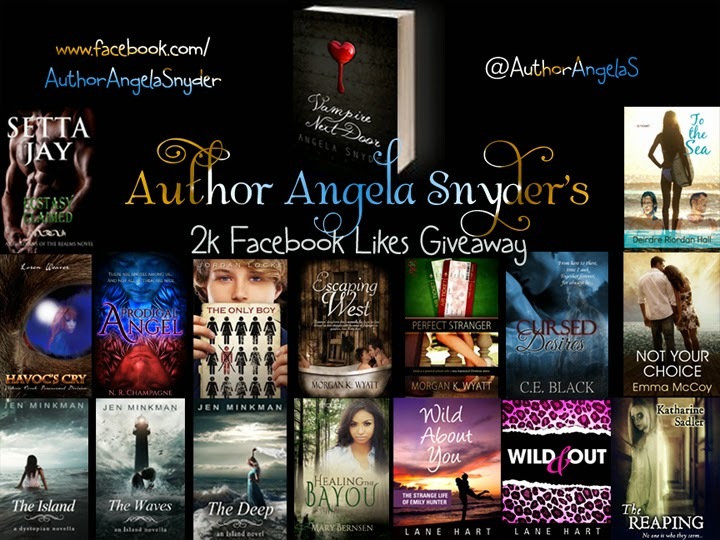 Author Angela Snyder got some major Facebook love and to say thank you, she's hosting a major multi-author giveaway! Over 15 Prizes, ebooks, signed books, swag, and more! Including my novel, To the Sea. To check out the cover for my forthcoming follow-up, In the Desert, click here. This giveaway runs Friday, June 6 through Friday June 27. Mobile users, use this link.